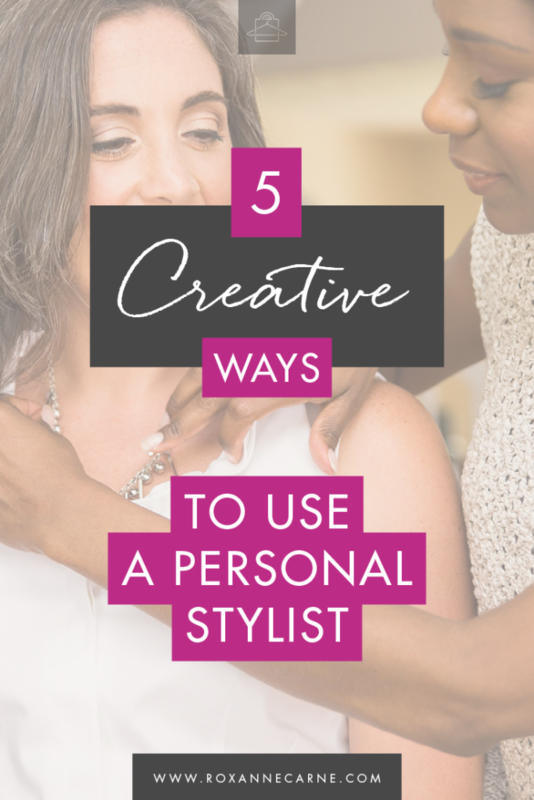 5 Creative Ways to Use a Personal Stylist! What do you think of when you hear the term “personal stylist?” Do you think of someone working with celebrities or models, preparing them for a photo shoot or red carpet walk? Or do you think of someone dressing the fabulously wealthy? While celebrities, models, and the ultra-wealthy regularly use stylists to dress them, everyday women can also benefit from hiring a personal stylist. In fact, some stylists (me included) prefer to work with everyday women who are working careers, building businesses, parenting children, and trying to maintain social lives. But even for non-celebrity women, the work of a personal stylist goes beyond choosing an everyday wardrobe for career or home life. 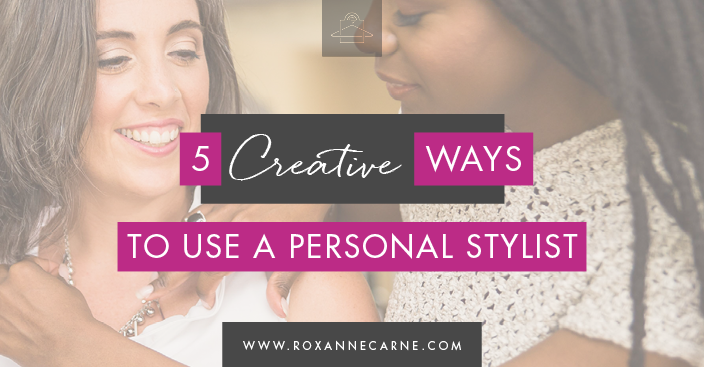 In this post, I share 5 creative ways you can use a personal stylist that you probably haven’t thought of. Let me know if any of these are new to you! A personal stylist is a great resource to have when you’re preparing for special events! With access to great designers and retailers, a stylist can help you nail a #winninglook for your special occasion. A Personal Stylist can help you get dressed for special occasions & events! Did you know that a personal stylist can help dress you for photoshoots? This can include personal photo shoots with family or friends, but also professional photo shoots such those taken for business branding. In fact, I recently styled a Vice President in the financial management sector for her company’s website. I curated a fresh, modern, and sophisticated look for her brand new profile page and she looked fab! Are you going on a big trip, for personal or business purposes, and aren’t sure how to dress or what to pack? You can hire a personal stylist to help you! I know, that’s the best thing ever, and it seems like a fantasy, but it’s true and provides such great relief! Throw a fun style party for your friends! You can hire the stylist for the evening to help you and your friends discover which clothes work best for your bodies, what colors and styles would fit your needs and tastes, and learn how to put together some stylish outfits. This is lots of fun with a small group of girlfriends! If you’re putting on a charity event, a professional conference, or some other large gathering, you can hire a personal stylist to speak at your event. The stylist can speak about several personal branding/personal image topics ranging from how to dress for specific body types, to what to wear to an interview. It’s entirely up to you and the expertise of the personal stylist you choose to work with. Personal stylists can be utilized in a lot of creative ways to add value to your life. You can use a personal stylist to help you in your everyday life, in your career and business, for special events, for photo shoots, for parties, and to speak at events to spread knowledge and awareness about personal image and branding. I’m grateful to have worked with quite a few women in each of these creative ways, and am proud to have spoken at different philanthropic events, too! It’s always a pleasure to help dress women for all the important, often life-changing events that spring up from time-to-time. Check out this post about a very special client that I styled for her business branding photo shoot – I share her styling experience and beautiful pics from the shoot! Comment below to share other creative ways that you'd work with a wardrobe stylist – I'd love to hear your wishes! And hey, if you’d like to learn more about working with me to create great looks for your life, schedule a call with me or contact me here – I’d love to help you! I didn’t realize that personal stylists can help you pack the perfect dress for your upcoming trip. My wife has always loved fashion. This seems like a nice surprise I could get her for our upcoming anniversary. Afton, that’s right! Personal Stylists can help their clients select the best outfits for vacation or business travel. With activities ranging from daytime to evening, it’s so helpful to have an extra hand to determine the best looks that work for the occasions. And yes, this could be a great anniversary gift for your wife – how thoughtful! I have a few fancy events coming up with my husband and I have no idea what to wear, so I am thinking of hiring a personal stylist to help me. You make a great point that stylists have access and ideas from great designers and retailers, so they can help me to find the best look! Also, I think that it will definitely help me to save time and stress less!